We are able to offer the full range of exterior building services, including those described in detail below. If you have other requirements not listed below, please don't hesitate to ask us. 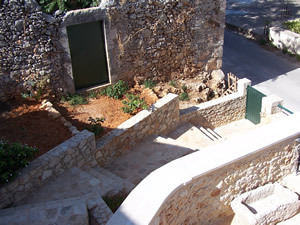 We offer a service to add an extension to your existing property whether it has been built from stone or cement. 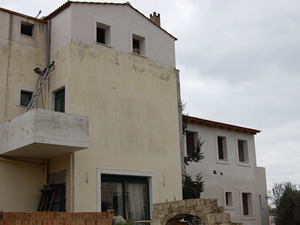 An initial inspection will be required to determine the suitability of the existing foundation. Our experienced craftsmen will ensure that your additional space is perfectly built to match the natural lines of your existing house. A landscaping service is available to plan and landscape your property to take advantage of any existing natural features and to make the most of the views that you have. As the boundary of your home, walls are for security as well as aesthetic appearance of your dream villa. 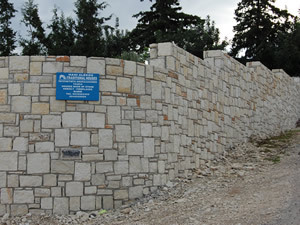 Our walls can be constructed from a range of stone available to the height you desire, but always to our standard double thickness for strength and durability. To fully experience the beauty of outdoor living and to maximise your living space we can create an outdoor social area leading from any of the rooms within your home. 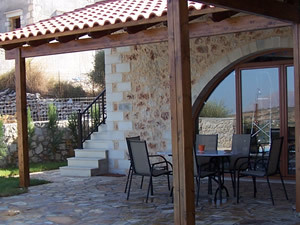 'Imagine sitting on your patio sipping your wine watching the Cretan sunset'! BBQ's and exterior covered kitchens - much more than a few bricks and a grill. 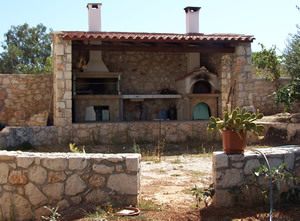 Cretan outdoor kitchens can include traditional ovens, brick grills, overhead cover and more often than not, power to run a well stocked fridge.